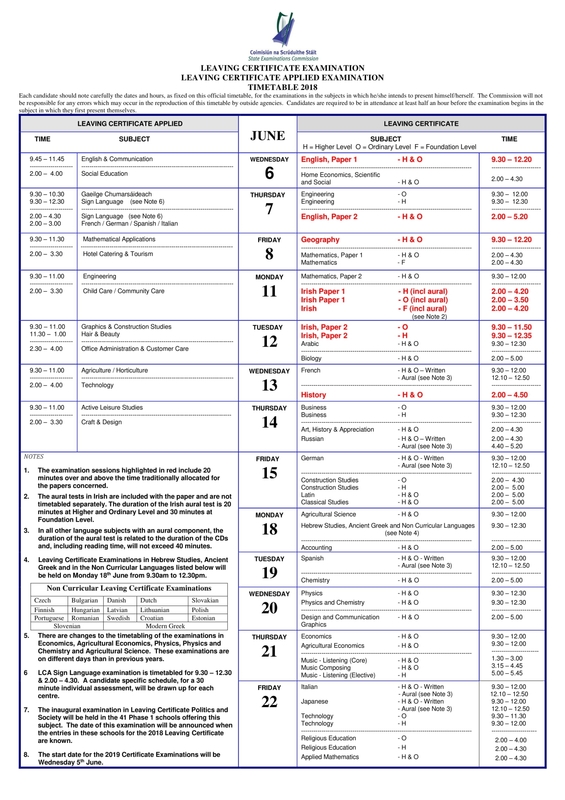 Full Leaving Cert and Junior Cert timetables as students sit State exams. Today, Wednesday, June 6 marks a big day for more than 870 students and their families from across Leitrim as they begin their Leaving and Junior Certificate exams. The first exam started at 09.30am this morning with English Paper 1. See a full timetable for the next two weeks of exams below.